Getting married in Italy is likely a dream come true! 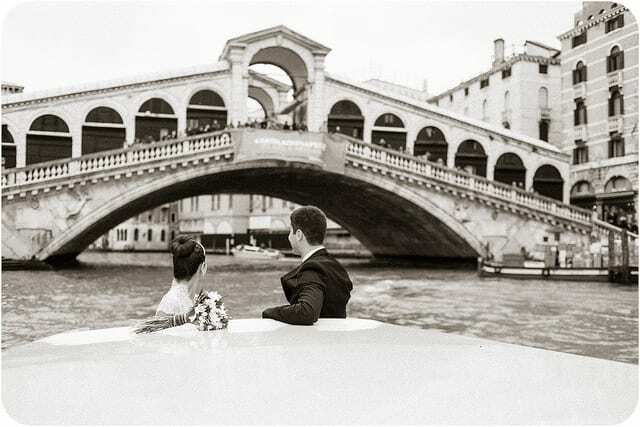 So why not incorporate some Italian wedding traditions to complete your destination wedding? Adding a touch of Italy is a great way to personalize your big day. Bring you and your guests fully into the Italian culture by adding some or all of these great Italian wedding traditions. While today white is the color of choice for the bride, it wasn’t always this way. 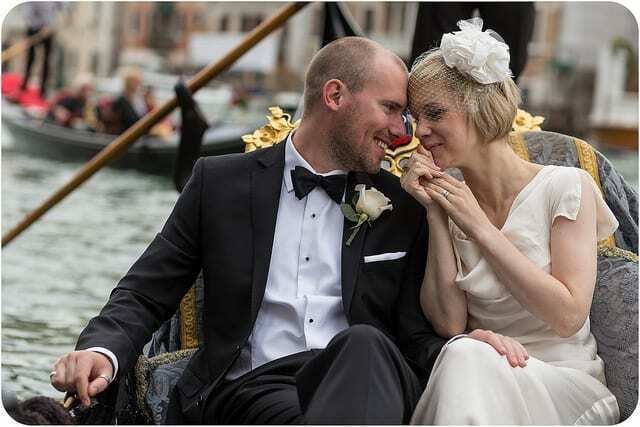 For example, in Tuscany brides would traditionally wear a black gown with a white hat or veil, and in Venice a bride would walk to the church in her second-best gown, saving her nicest bridal gown for the ceremony. Even the bridal veil dates back to ancient Rome. To prevent the bride and groom from seeing each other before they married, whether to ensure that an arranged marriage was followed through with or to preserve purity, the bride’s face would be covered by a long white veil, the white representing purity. The night before the wedding the bride sleeps at her parents’ house. In the past she wore green to bring good luck and fertility. On this night it’s tradition for the groom to deliver flowers to his fiancée. These flowers once served as the bride’s wedding bouquet and represented the last gift she receives as a ‘single’ person. Today a bride can choose her bouquet, but it’s still tradition that the groom pays and ensures that it is delivered to his bride. 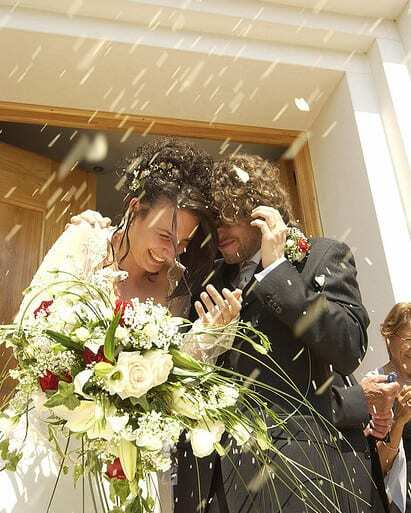 Though many of the Italian wedding traditions are less followed today with couples choosing more modern weddings, others have been adapted in different ways by each couple. Traditionally, Sunday was considered the only day for a wedding. A holy day, it ensured a lifetime of happiness, while any other day was considered unlucky. Though today this is no longer considered true – Saturday is a very popular choice – Sunday is still a top choice for couples getting married in Italy, even if a wedding party might continue until Monday morning! A bride and groom have their testimoni, or witnesses. Unlike in American weddings, the witnesses aren’t expected to dress alike and there is often only one or two bridesmaids and one or two groomsmen. The day of the wedding the guests (and sometimes even the groom!) wait outside of the church for the bride to arrive. The bride, for her part, will likely arrive late, while the groomsmen tease the groom that she has changed her mind. 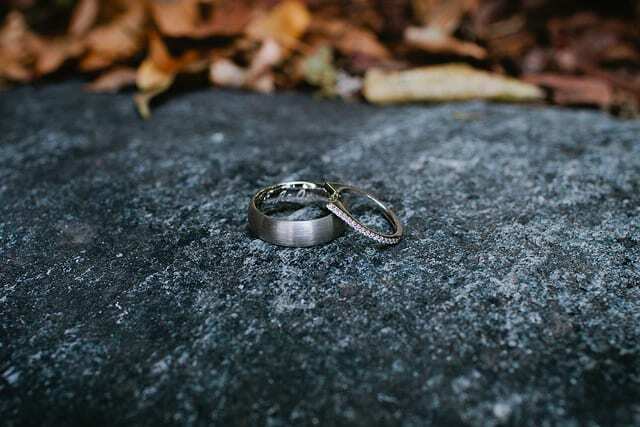 In some parts of Italy it was a tradition for the groom to carry a small piece of iron (toc ferro) in his pocket to ward off evil spirits and bad luck – like his bride changing her mind! In some regions the couple break a vase and the number of pieces represent each year of happiness they’ll have together. This particular tradition was seen in the film “When in Rome” with Josh Duhamel and Kristen Bell. After the wedding the guests file out of the church to welcome the bride and groom. Still today it’s customary to throw rice at the couple as they exit the church to symbolize a shower of fertility. As with most Italian celebrations, the Italian wedding is completely centered around food and guests can be sure to leave filled to the brim! It’s customary for the bridal party to wait before arriving at the reception hall, giving them time to refresh and relax before being introduced as newlyweds. Guests are usually offered an aperitivo with appetizers and drinks while they wait for the bride and groom to arrive. Don’t fill up on appetizers though – the main course is likely a primo and secondo, and some even have more than one of each! In Sicily a “Venetian Hour” is still a common tradition. This is a huge dessert table with a variety of pastries, cakes and other desserts available throughout the entire reception. Though today not all regions of Italy dance at their wedding, many still do. In the south the Tarantella, a traditional wedding dance, is still an integral part of the celebration and throughout Italy it’s common for guests to sing traditional wedding songs to the new couple about love, relationships and, of course, the wedding night. Similar to some U.S. wedding celebrations, the bride might carry a small bag or borsa for le buste or envelopes filled with money from the guests. She might even dance with her guests in exchange. One tradition that holds strong is confetti. Not small pieces of paper but white candy-coated almonds. The confetti can be a variety of flavors such as cognac or pistacchio, but they are meant to represent both the sweet and bitter parts of life and marriage – an edible reminder of “for better or worse.” They’re often presented to guests as a wedding favor and, as a marriage is of two people, the amount eaten can’t be divisible by two, so be sure to eat only an odd number of the candied almonds – five or seven is a good bet! 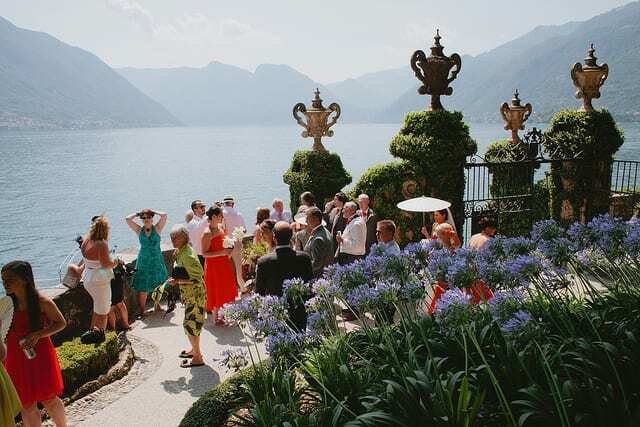 Whether you chose to get married in Italy for family, the beautiful location or a long-held dream to visit, adding some Italian wedding traditions is a great way to incorporate the location into your big day! A wedding is a celebration and the Italians surely know how to celebrate. And just think, if it rains that too is considered good luck in Italy and a symbol of a happy marriage, ensuring that nothing comes in the way of your big day! One of my six granddaughters got married May of 2014, and she followed traditional Italian when she had favors for the guests by giving them a present of white candy colored almonds. They thought it was a great idea. Her theme birds of all kinds, especially doves and love birds. Therefore she gave out a birds nest with four almonds. Wishing them luck and at least four children. I was so proud to think that she would do that in honor of me her Grandma. Most of the time i seen so many Veg & Non- Veg courses for child’s, special guest and senior Citizens. White single layer sponge cake served to everyone after lunch. Sunday was considered as holly day which is luck for couple married life.